The United States Department of Justice (DoJ) has warned that the Wire Act now applies to all forms of online gambling rather than just sports betting, which had been the earlier official interpretation. 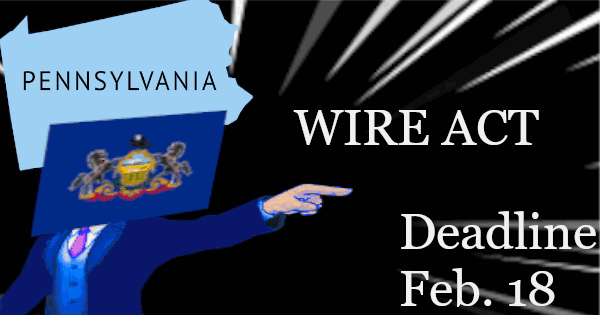 In the wake of this new Wire Act opinion, The Pennsylvania Gaming Control Board (PGCB) released a memo on Friday, Jan. 18 giving individual licensed gaming operations thirty days to show how the new interpretation of the Wire Act may impact their operations. They must submit the requested information by Feb. 18. On Monday, Jan. 14, the Office of Legal Counsel at the DOJ publicized its legal opinion regarding the Wire Act of 1961 although the new document is dated Nov. 2, 2018. The OLC stated that this legislation was applicable to interstate sports betting and the majority of online gambling products as well, including poker. This reversed an earlier 2011 opinion of the OLC, which found that the Wire Act only applied to sports betting alone. The only type of gambling currently in the clear for multi-state transmission of wagers is horseracing. It is currently unknown if the new interpretation will be upheld by the courts. The real issue is that the clarity regarding which types of online gaming are legal is gone. The opinion states that any information pertaining to wagers and bets must not cross state lines. This negates the idea that state law is able to provide for interstate activity. States without internet gaming legislation are therefore being extremely cautious. New Jersey, Delaware, Nevada, and Pennsylvania are the only four states where online poker is regulated. The first three states already have well-established internet gaming economies, and they indeed participate in a liquidity sharing compact whereby each state's players can compete at the same tables with those located in the other two states. Pennsylvania only legalized online betting in late 2017, and no real money operators have yet opened their virtual doors. Several companies have had their license applications approved, though, and they were expected to launch in the first half of this year. It's uncertain if and for how long the new Wire Act interpretation will delay this process. How Is Pennsylvania Specifically Impacted? As Pennsylvania continues to implement the General Assembly's gaming expansion legislation, Act 42 of 2017, and as you, as certificate holders and operators licensed by the Board, continue to move forward to expand your gaming offerings, it is vital that you examine your proposed gaming operation in Pennsylvania to ensure that you are in compliance with the Department of Justice's interpretation of the Wire Act. Specifically, while Board regulation § 809.3 - Location of equipment, provides that “the interactive gaming devices and associated equipment may be located in a restricted area on the premises of the licensed facility, in an interactive gaming restricted area within the geographic limits of the county in this Commonwealth where the licensed facility is situated or any other area, located within the United States, provided the location adheres to [enumerated conditions]”, Regulation 809.3 was promulgated prior to the recent Department of Justice Opinion. As a result of the Opinion and at this time, we no longer believe it is consistent with law as articulated in the Opinion to locate the interactive gaming devices and associated equipment in any jurisdiction other than in Pennsylvania. A ninety day pause has been announced by the DOJ regarding the enforcement of the new opinion, meaning that the Department will only take action against violators beginning April 15. However, the PGCB wants the issues handled well prior to this deadline. The PGCB thus recognizes that banking firms typically tend to be a bit conservative when it comes to industries with checkered public images, like gambling. It may be the case that some of them will cease to do business at all with gaming businesses even for completely legal single-state transactions. The letter to the gaming companies was signed by Kevin F. O'Toole who is the Executive Director of the PGCB. Many people believe the new interpretation of the Wire Act is really a favor for the Chairman of the Las Vegas Sands Corporation, Sheldon Adelson, who is a formidable opponent of online gambling. A report from the Wall Street Journal stated that he funded lobbyists in 2017 to request another look at the opinion issued in 2011 regarding the Wire Act. Whether or not the new opinion is validated by the courts, it has made matters difficult for states in the middle of launching operations online or trying to become a member of the interstate online poker club. 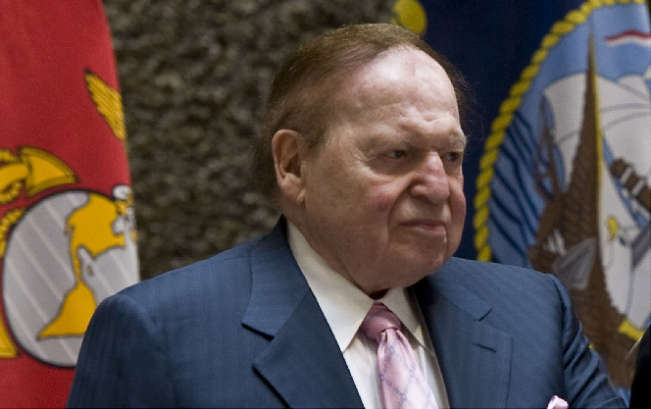 While Adelson has been unsuccessful in completely preventing legal online gaming from appearing in a few jurisdictions, he has assuredly been instrumental in slowing its spread. If the new Wire Act opinion is really his doing, then he can place another feather in his cap because it will make internet poker, casino, and sports betting more difficult to offer even where it is explicitly legalized. If the OLC is right and the Wire Act deals with gambling other than sports betting, then it is illegal to have a multistate online poker compact. Each state would be forced to ring-fence its games to only those individuals physically within its borders. Unlike casino tables and slots, which suffer few ill effects if the player population is limited to a single state, the situation is different for poker. Too small of a player base prevents the poker rooms from providing a robust variety of stakes and games, and it effectively caps the prize pools of tournaments. In the poker context, a population below ten million is considered small, and it is difficult to establish and maintain a sustainable ecosystem in such an environment. For example, the poker market in New Jersey has nine million residents and continues to struggle. Delaware – possessing a population one-ninth that of New Jersey – meanwhile has a much shakier state-supervised online gaming economy. Before the advent of inter-state player pooling, Delaware's three online cardroom operators often struggled to surpass 30 users logged in at a time. The new rules from the DoJ could represent a death knell for a functional Delaware licensed online poker market. There are more than twelve million people in Pennsylvania, so it would almost double U.S. regulated internet poker traffic by itself. While the Keystone State is not yet a member of the Multi-State Internet Gaming Agreement, it was widely expected to join in at some point, but those hopes have now been all but dashed. States, especially those with low populations, may now question if legalizing online poker is worth the effort. An inability to join a common market with already-established poker states is certainly a strike against the game in the minds of lawmakers. And because legislatures tend to wish to craft all-encompassing gambling laws rather than tackling each form of gaming separately, diminished prospects for internet poker legalization will also hamper the expansion of online casino gaming and sports betting too. Unless the courts throw out the new opinion, there is almost no chance of the interstate poker compact surviving. This means that any plans that enterprises had of synergies between their state-supervised online poker divisions in different jurisdictions are in jeopardy. There are three organizations in particular that are measurably worse off now than before the new Wire Act guidance was released by the DoJ: 888, PokerStars, and PartyPoker. 888 currently combines the poker volume of its Delaware, Nevada, and New Jersey rooms. It already has a time-tested partnership with Caesars Entertainment, owner of Harrah's Philadelphia, and so it would have been able to benefit from Pennsylvania someday participating in traffic sharing arrangements. It's a similar story with PokerStars and PartyPoker although they currently only accept customers from one state, New Jersey, because they don't have presences in Nevada or Delaware. PokerStars has teamed up with Mount Airy Casino Resort in Pocono, and PartyPoker is allied with Boyd Gaming, operator of the Valley Forge Casino. You Can Play Online Today! Whether you reside in Pennsylvania, one of the three other licensed online gaming states, or any of the 46 other states, there's a dirty little secret that the Department of Justice – and probably the Pennsylvania Gaming Control Board too – doesn't want you to think about. This is the fact that online poker is already possible, in all 50 states, through offshore rooms. These international poker sites care little about the recent update to the Wire Act or any other U.S. legislation for that matter. They're happy to welcome American users, and they're outside the effective reach of the DoJ and other authoritarian government agencies. As an ordinary player, there's nothing on the books at the federal level criminalizing your play. It's only the poker providers themselves who are at any risk of legal persecution. For a rundown of your best options for online card games, check out our thorough guide to U.S.A. internet poker.